Thank your maids ever so regally with our princess jewelry boxes. 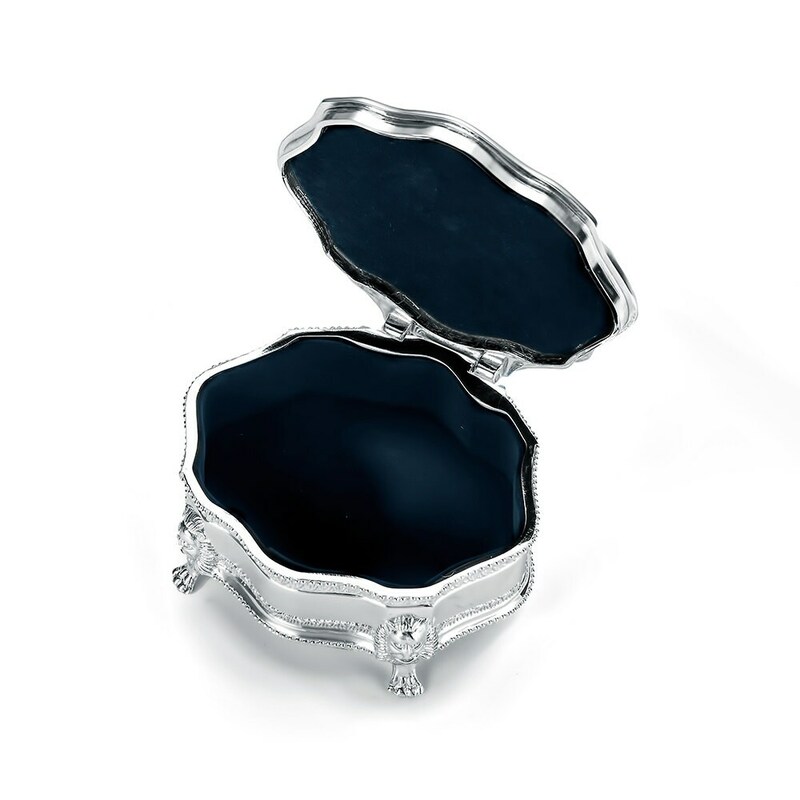 Lined with deep blue velveteen, this silver-plated jewelry box is a great way to present wedding-day baubles. 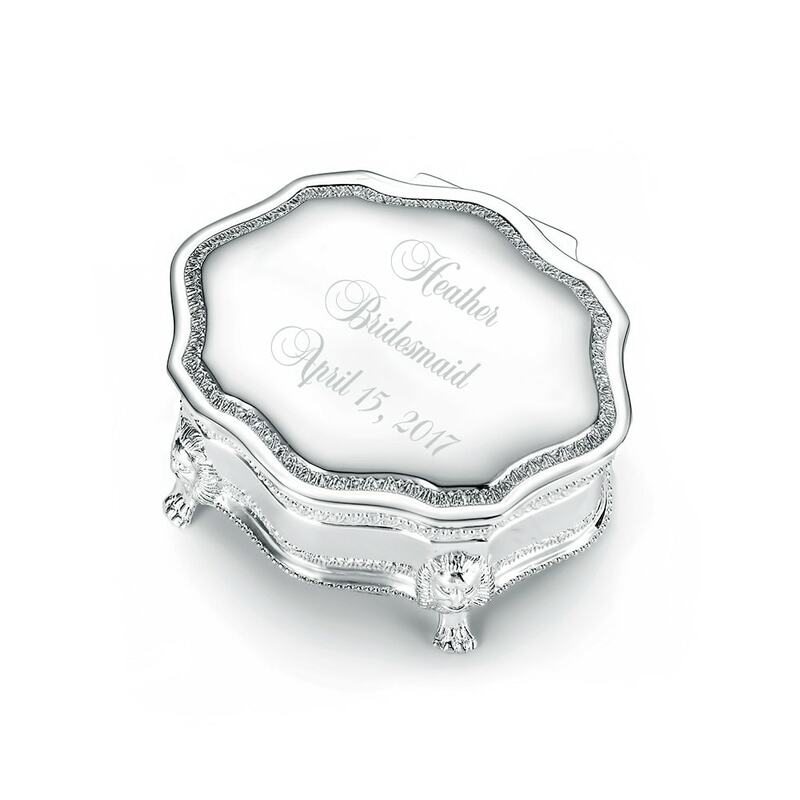 Have the trinket box engraved with your bridesmaid's name -- or a sentiment of gratitude -- for a thoughtful touch. 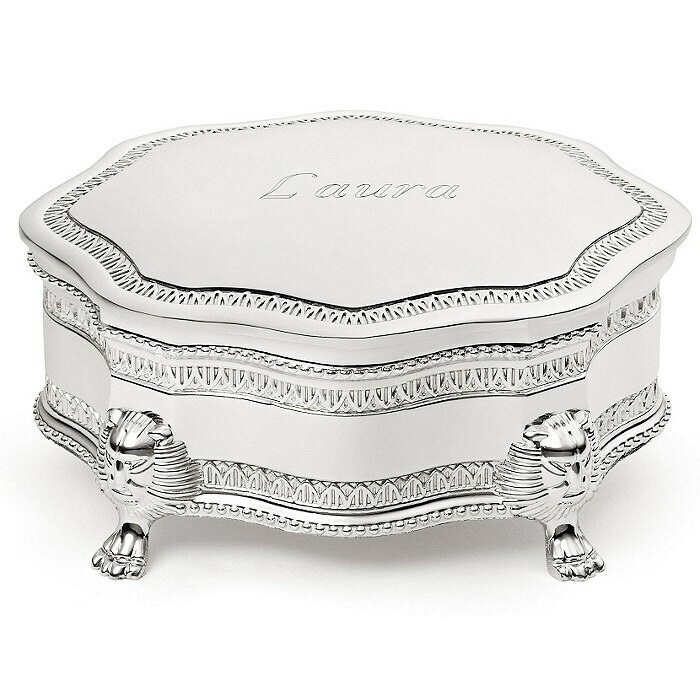 Princess jewelry box measures 1 5/8" x 3" x 3 3'4". 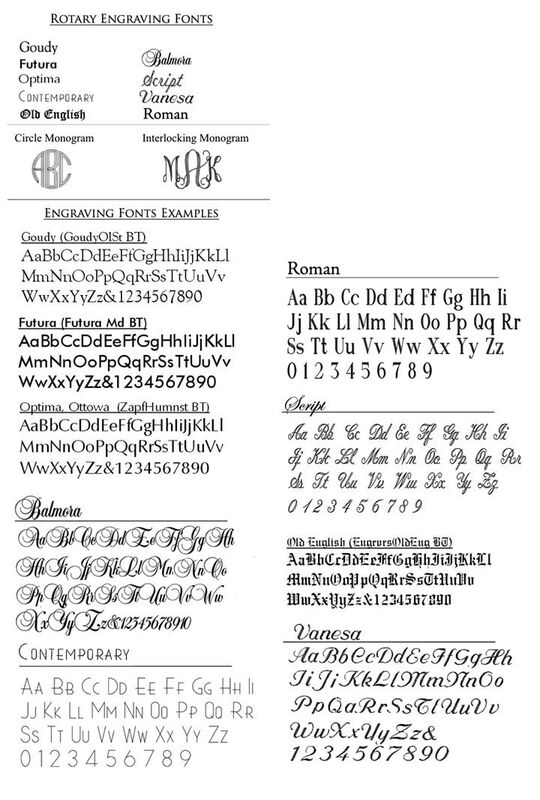 Please note the more text you write the smaller the engraving.